It is amazing how many Google Doc users overlook the thesaurus. The thesaurus is located within the define tool. When the define tool is used it opens a research window with a dictionary. The definitions are followed by a list of synonyms. Some of the definitions listed even include a listing of antonyms. 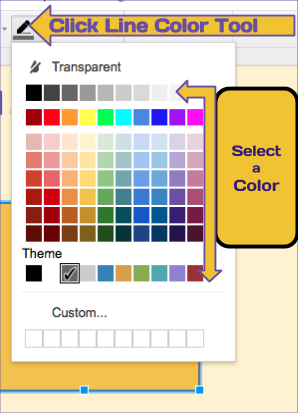 All you have to do to access the define tool is go to the tools heading and click on define. Another way to open the dictionary is by right clicking on a highlighted word and then click on define. If you haven’t gone paperless maybe now is the time to decide. 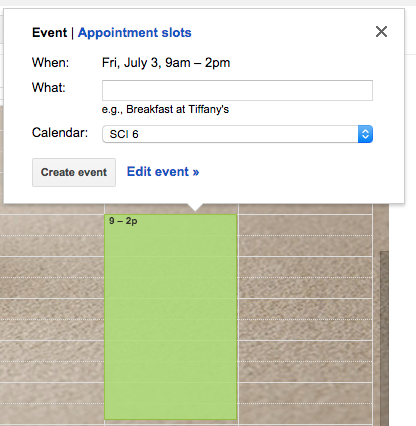 Google Calendar provides teachers with the capability of setting up appointment slots which could be shared in a variety of ways with colleagues, parents and students. It is easy to set up and minimizes the use of paper along with stress due to misplaced sign-up sheets which either didn’t make it home or the dog ate! WHAT CAN APPOINTMENT SLOTS BE USED? 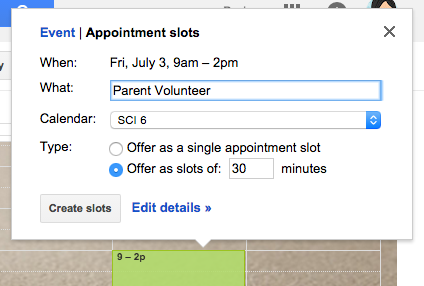 HOW ARE APPOINTMENT SLOTS BENEFICIAL? NOTE: Appointment Slots CAN'T be created in Monthly Calendar View!!! Google Sheets Tip: Is the Sentence Blocked by Neighboring Cells? Today I was reading a Google Sheet which was shared with me as view only. It drove me crazy because neighboring cells blocked what I was trying to read. There is a simple fix for this but it was impossible for me to do because I didn’t have editing rights. I found a round about way to view the information. Luckily in view only one can still copy and paste information. I copied the cell to a Google Doc and it let me view the hidden text. When working with Google Sheets this is what one has to do for preventing text from being hidden by neighboring a cells. 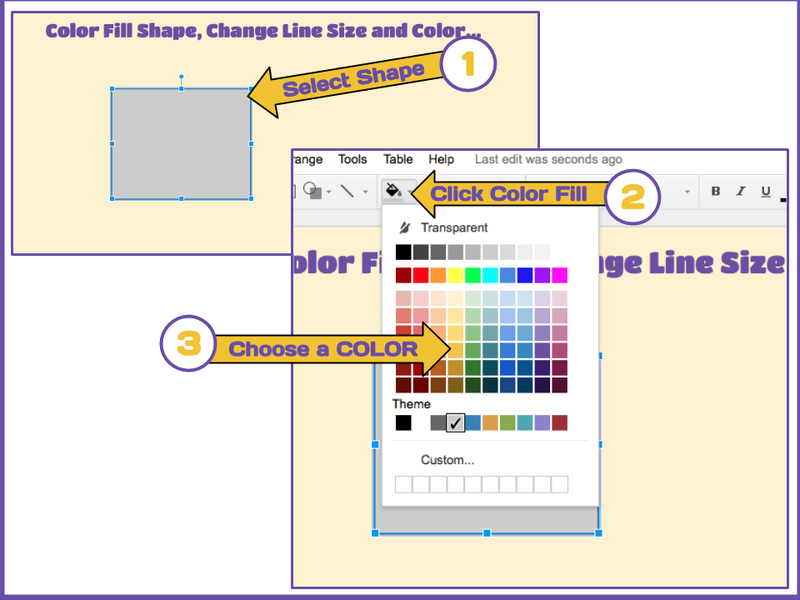 Use the text wrapping tool. 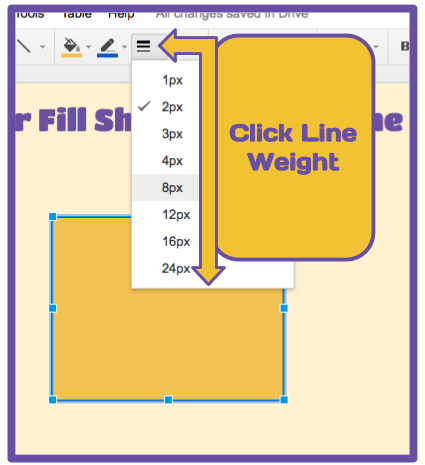 Click on text wrapping in the dropdown click on the wrap tool (sideway’s U). 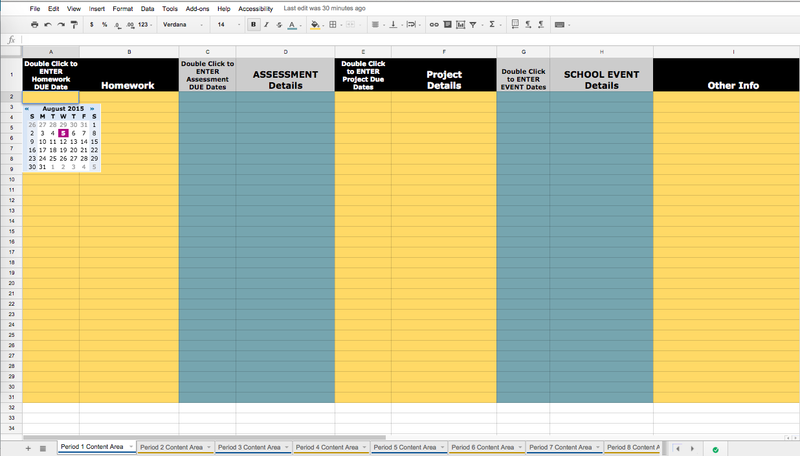 Here is a list of some reasons why I feel a Google Sheet Agenda is Practical for Students and Teachers to use. Double click the date column and a calendar pops up. Then double click the date to see what happens (TIMESAVER for Some Students). Just might be a motivator for the young person who likes using gadgets. Positive reinforcement for maintaining schedules. Due to my K-12 Experience I noticed many students are challenged with using hardcopy agendas to maintain their schedules. This is an important organizational skill for the child’s future. Add a speech to text APP and the student may accomplish a task they avoided in the past. The agenda can be modified for the younger student. 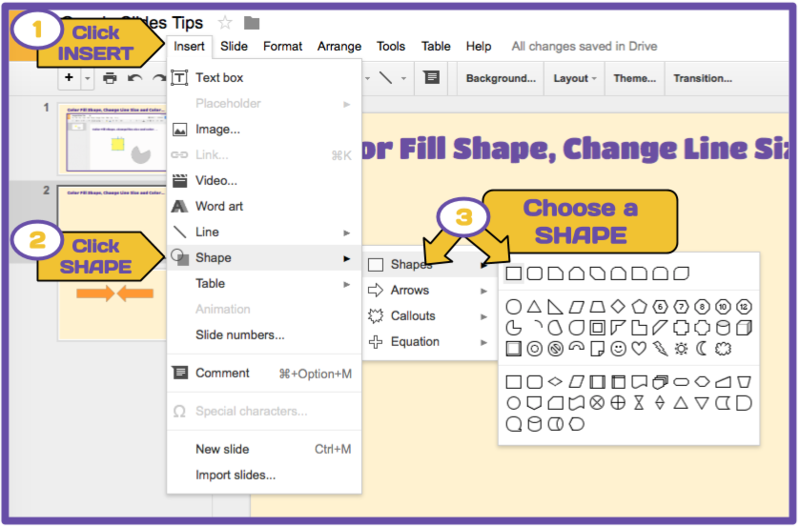 Graphics can be added to support the visual learner.